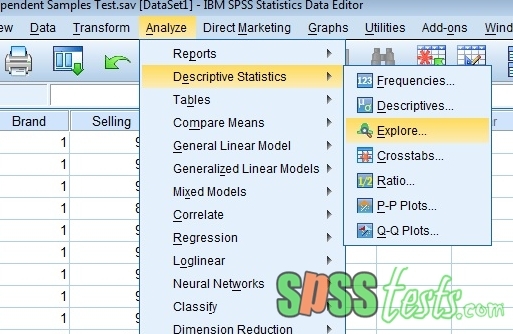 How to Shapiro Wilk Normality Test Using SPSS Interpretation | The basic principle that we must understand is that the normality test is useful to find out whether a research data is normally distributed or not normal. In parametric statistical analysis the requirements that must be met are data that are normally distributed. 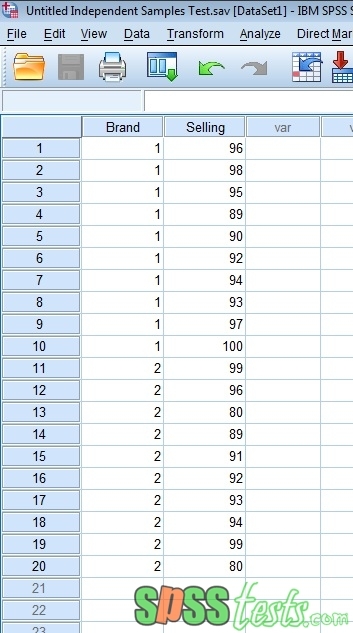 One way to identify normality of data can be done using the Shapiro Wilk method. Normality test using Shapiro Wilk method is generally used for paired sample t test, independent sample t test and ANOVA test. In general, the Shapiro Wilk Normality Test is used for small samples of less than 50 samples, while for large samples above 50 samples it is recommended to use the Kolmogorov-Smirnov normality test. If the value of significance (Sig. )> 0.05, then the data is normally distributed. If the value of significance (Sig.) <0.05, then the data is not normally distributed. 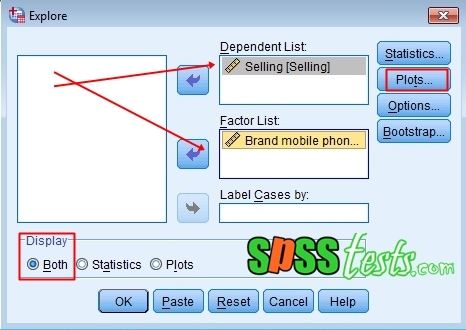 For example, we want to find out whether the sales average for both Samsung and Lenovo mobile phone brands is normally distributed or not normal. The sales data for the two brands of mobile phones can be seen in the picture below. 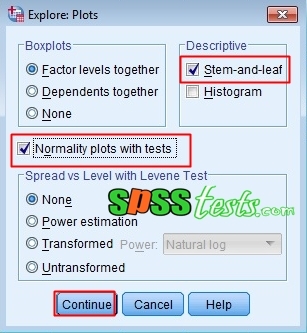 In conducting the Shapiro Wilk normality test in SPSS, the following steps are needed. Based on Shapiro Wilk's output, the significance value (Sig) for the Samsung variable is 0.983, while the significance value (Sig) for the Lenovo variable is 0.136. 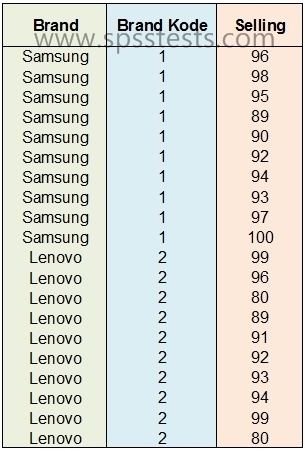 Based on Shapiro Wilk Normality Test Using SPSS above, the Samsung and Lenovo significance values (Sig)> 0.05, so that it can be concluded that the sales of the two brands of Samsung and Lenovo mobile phones are normally distributed. Because the research data is normally distributed, parametric statistical analysis can be carried out in this study. 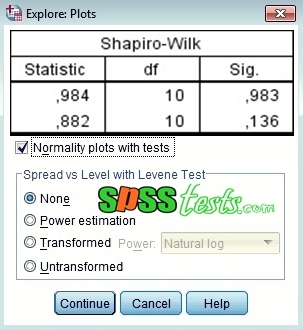 3 Responses to "How to Shapiro Wilk Normality Test Using SPSS Interpretation"
Very clean explanation. It is really helpful this site for my research.